Breathtaking scenery, low-traffic roads, fascinating history, colorful character. Take it all in one pedal stroke at a time on these carefully crafted bike routes! Endless possibilities! Stretching for miles with an excellent network of backroads crisscrossing the farmland, Sequatchie Valley is perfect for short loops or all-day adventures. Whatever distance you want, there's a great ride to fit the bill in one of the most picturesque valleys in the eastern United States. Something for everyone! 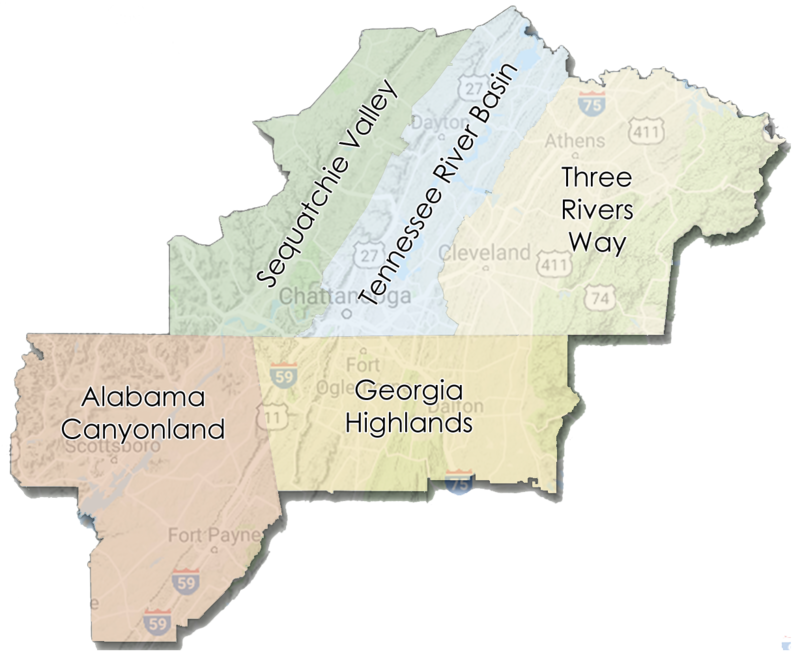 Stretching from the mountains of the Cherokee Forest to the Tennessee River basin, the Ocoee, Hiwassee and Tellico rivers form a landscape that offers a beautiful diversity of scenic cycling, including the best gravel roads in the region. No matter what you're looking for, Three Rivers Way has your ride!